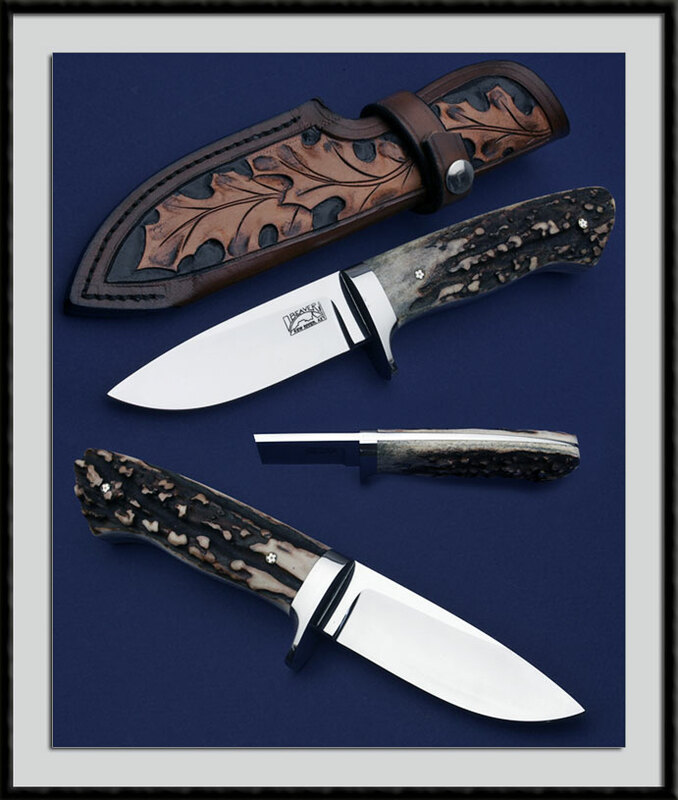 Butch Beaver crafted this Loveless style Stag Hunter, BL = 3 5/8", OAL = 8 1/4", Hollow ground ATS-34 Blade, tapered tang, SS guard, Stag Handle accented by Mosaic pins. Fit and Finish are as good as it gets. Comes with the pictured custom tooled leather sheath. Except for a very small area of discoloration at the edge of the guard near the Ricasso "A" side condition is mint.